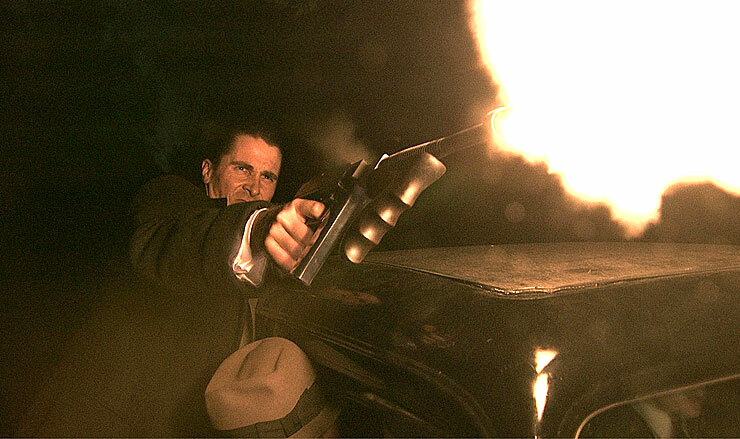 Review – Michael Mann takes what made him famous with films like the brilliant Heat and puts it in the 1930’s. Depp plays John Dillinger and Bale plays the law man taking him down. The film contains some brilliant bank robberies and shoot-outs, one of the many things director Mann does best along with showing both sides of the law. Like Heat, we find ourselves rooting for both sides which is helped by the great performances. The much maligned HD filming technique is perhaps hit or miss, but when it hits it really hits. Whether you love Mann, or just love bank robberies, Public Enemies is a must watch.